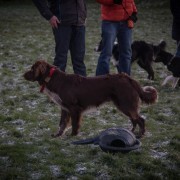 Whether your interest lies in competing at the highest level or in enjoying some fun time with your dog, I can offer you a class or private tuition that suits your level and interest. 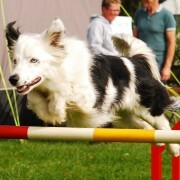 Dog agility can be enjoyed by all dogs, no matter their size or breed and by people of all ages. 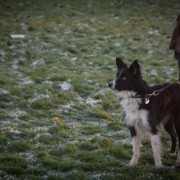 Each Dog/Handler team is unique so I adapt my training and techniques to their requirements, motivation and ability. 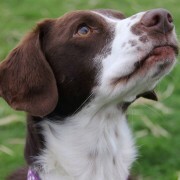 Children over 6 years old, supervised by their parents, are welcome. 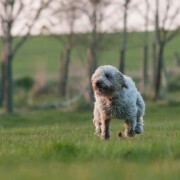 Children usually love it, they learn to take responsibility over their pets in a fun manner whilst developing a better coordination and spatial awareness. 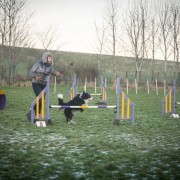 All the classes are obviously based on positive reinforcement using only competition standard equipment for everybody’s safety. 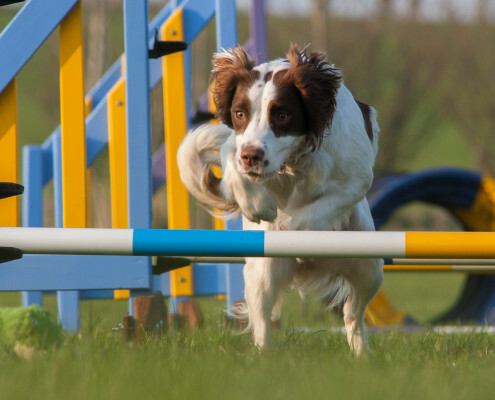 With dog agility you will explore the athlete in you and your dog and develop a strong partnership based on a mutual understanding and trust. 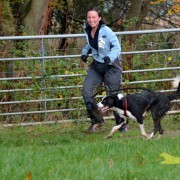 It’s is fun, addictive and extremely rewarding for both your dog and you! 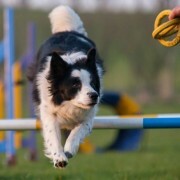 Build rock solid foundations in your young dog and prepare them for their future agility career! 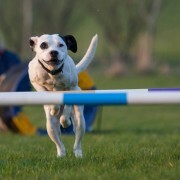 Your young dog will learn a variety of fun tricks to develop his core muscle strength and body awareness as well as skills such as motivation, drive, forward focus, handler focus, shadow handling to name just a few. 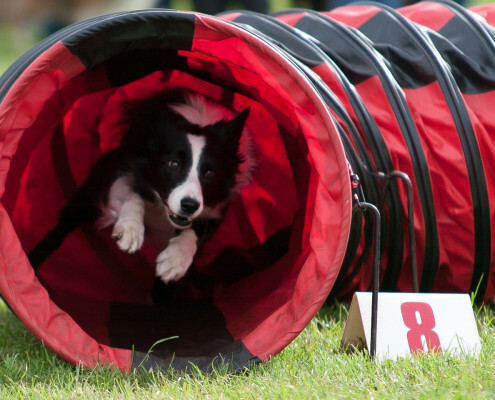 Discover how to master full agility courses with your dog by developing your handling skills whilst teaching your dog to negotiate the obstacles and follow your directives. Build up the skills, focus and confidence that will make your team enjoy the competition environment, exceed your goals and thrive. Together, we will work at improving your team partnership and the accuracy of your handling by clarifying your physical and verbal cues. 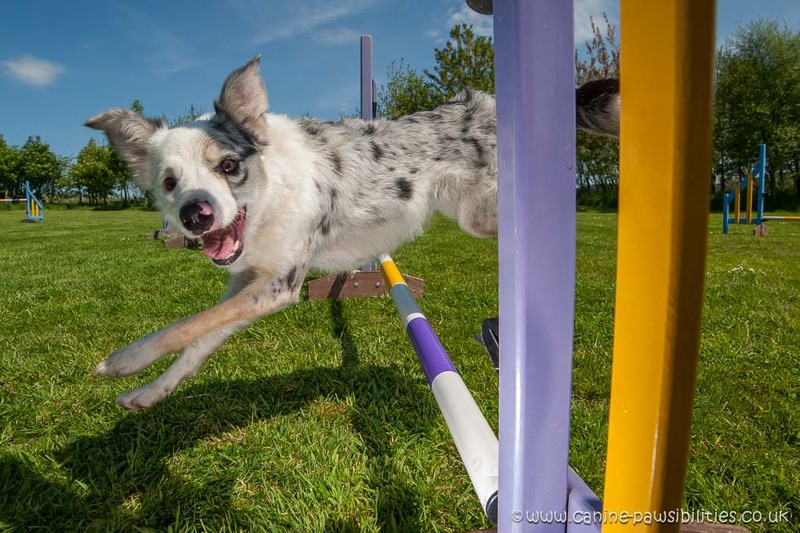 We will build your dog’s confidence and understanding for a wide range of agility skills, including jumping sequences, obstacle discrimination, advanced weave entries, solid, independent contacts and most importantly trust in your leadership. You will learn to analyse the courses and define a clear strategy that will suit best your team.